As you know that solar energy is the combination of light and heat that is produced by the sun. This energy moves from the sun and reaches the earth where human collects it through solar collectors and convert it into any desirable form of energy. As per the assumption, this renewable source of energy is the most powerful to replace the requirement of electricity, which we get from 650 barrels of oil per year. In the recent times, the soaring interest in solar power is not only evident on roofs; but also through enormous ideas to power up almost every part of our lives. You might also like Are You Looking for A Web Developer in India? Make Customer Proposal in pdf file. Manage solar sales with mobile and colorful project management system. Now, you can use the tablet or your smartphone to design PV system and manage your sales wherever you are. You can also boost your work performance and generate it in professional using the app. Now, you can easily turn your device into a pyranometer with this pyranometer application. This high-end and feature-rich application will allow you to measure solar radiation in Watt per square meter (W/m²). The Pyranometer App 2.0 is a wonderful gadget for fun as well as educational purpose. A professional measurement of solar radiation can be performed by highly accurate thermopile pyranometers. These are the instruments that used for irradiance measurements in weather, solar energy, climate, and other fields related. Offered free of cost by Hukseflux Thermal Sensors, the application can be used for educational purposes easily and without facing any kind of difficulties. Do you want to track your solar energy production from almost anywhere? 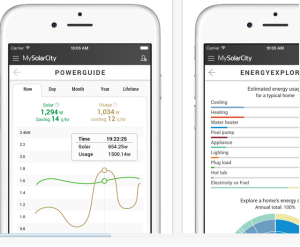 MySolarCity application is the best and feature-rich mobile application that gives you the power with real-time mobile access to your solar monitoring. Equipped with a comprehensive range of features, the app also enables you to share the excitement of clean, affordable energy with friends and relatives when you are on the go. If anyone signs up with SolarCity through your referral, you can get a reward for each person. With the advanced quality SunPower Monitoring System application, you can easily keep track of your solar system performance anytime and anywhere. 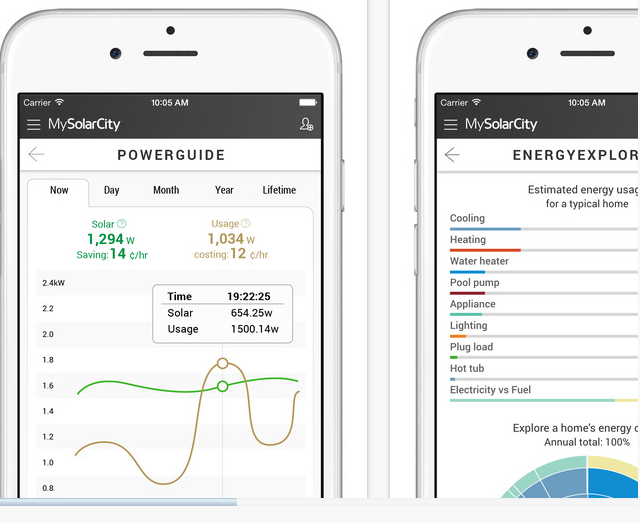 The application gives you the detailed visibility into how much energy your system produces, allowing you to optimize your solar investment and save on energy expenses. You can view different options, including day, month, year, system, lifetime or custom date range. Customers with a Consumption Monitoring Kit can also check their Bill savings and Energy Mix. You can easily sign-in with your existing web credentials or register your SunPower Monitoring System account. When it comes to talking about the Solar Calculator, it is an application that can be used easily to calculate and tell you several wattages used on a daily and weekly basis. The application also gives you a breakdown of the amount of equipment’s that required to get the system up and running. These comprise some other solar panels, batteries, inverters, etc. This application is very simple and easy-to-use; therefore, you can get calculating and planning a lot easily. For solar panel installations, shading is a major concern that causes panel hot spots and diminishes the output of an array. The application allows you a photovoltaic installer/designer complete a solar shading analysis in just a couple of minutes. Using this application, you can simply finish a 360-degree turn while tilting the phone to keep the top of any shading obstruction in the crosshairs. Moreover, the app uses your phone’s compass, GPS and accelerometer to map the horizon or obstructions. Get a graphical representation of the sun path and a chart to see what percent of daily hours are lost per month and a kWh output graph. Talking about the new Solar Mobile application, you are just one touch away from Solar. The application enables you to scan barcodes. One click of the camera and the product is added to your cart. Access the web shop and more. Moreover, this high-end application purchase or view products and allows to access to order history and favorite products. So, users can also get easy technical support on the go by direct email or phone. And locate the nearest solar drive-in and get driving instructions. Download this wonderful application and get huge support. These are the top most popular solar applications that you can download in your device and enjoy a wide range of features. In the upcoming years, the demand of solar applications will keep increasing as maximum number of companies turn towards mobile apps to deliver their high-end services in an easy manner. If you also own solar panels or are in some way involved in the solar industry, you will most likely notice solar technology more readily than others. You can also turn solar app idea into a successful application irrespective of the type and platform, you can discuss your requirements with an iPhone or a professional android app development company with specialized team of android developers. About The Author: This Article is contributed by Mohd Sohel Ather, software engineer by profession and a content writer by passion. Technical writing and blogging are his hobbies. He currently writes for Mobile App Development. The details you shared in this blog is so Informative. Here, I would like to add one more Company: AIS Technolabs , which is known for Android Application Development business.